A detailed look at Peru’s three climate zones; the tropical Amazon, the variable Andean highlands and the arid western desert. Read on for useful Peru weather information and to find out why the “shoulder” season is a great time to visit Peru. Peru contains three climate zones; the tropical Amazon, the variable Andean highlands and the arid western desert. Generally speaking, however, the rainy season is from November through March with the driest months of the year being June through September. This means you can plan Peru vacations in a few different ways. If Machu Picchu is on your list, read more for details on weather in the Southern Andes. If you’re looking for almost guaranteed sunshine then planning a trip during the dry season is a great option for you. Travel during the “off” or rainy season can be a great time to beat the crowds or, we often recommend travel during the “shoulder” season (generally October through November and March through April) as the weather is agreeable and there aren’t as many travelers. The Amazon Rainforest is home to the tropical rainforest biome. This means the weather is warm all year around, which makes this an incredible habitat for plants and animals. Average temperatures are in the 80s (Fahrenheit), as you can see in the table below, and the air is fairly humid because of the consistent rainfall. One of the most unique things about taking a vacation to the Amazon Rainforest is your proximity to nature. Because the Amazon Rainforest weather is warm, often times you spend your nights in screened bungalows and most of your days on nature hikes or boat rides on the Amazon River. The Reserva Amazonica Lodge outside of Puerto Maldonado is a wonderful example of a lodge stay in the Peruvian Amazon region. We recommend to pack light-weight hiking pants and a light, long-sleeve shirt to keep the bugs away and allow for airflow, as well as summer garb for around the hotel. Follow this link for a more detailed Amazon Jungle pack list. The Southern Andes region of Peru – which encompasses Cusco, the Sacred Valley and Machu Picchu – is vastly different. The altitude of the Andes Mountains adds an additional variable making the air much thinner and the temperatures cooler. Although only a short plane ride from the Amazon, Cusco is roughly 11,000ft in elevation. The weather in Cusco is typically sunny and moderate as you can see in the table below. When you travel higher up in elevation the weather gets cooler at night but stays agreeable during the day. We typically plan for our travelers to fly into Cusco but shortly after travel to the Sacred Valley for the night. The reason being, the Sacred Valley sits at a lower elevation (about 9,000ft) and this allows you to acclimatize and rest easier, not to mention this is where you can get off the beaten path and high in the hills to have incredible cultural experiences with Peru’s remote indigenous communities. After exploring this area you can easily take the train to Aguas Calientes (now commonly referred to as Machu Picchu Pueblo) to see Machu Picchu. The weather in this entire region is very moderate, so it’s a good idea to bring versatile hiking pants and a few layering items. For a more detailed look at packing for Machu Picchu, Cusco and the Sacred Valley you can visit the Peru FAQs section on our website. Lima, Peru is considered one of the driest capital cities in the world because it experiences a mild desert climate. That being said, the usual weather patterns are not too harsh. From November to May (the warmer months) the temperatures average in the mid to high 70’s (Fahrenheit). During the cooler months the weather fluctuates between the low to high 60’s. Follow this link for more information on Lima. The most important thing to remember is, although Peru weather can be variable and the country experiences three different ecosystems, there are still plenty of opportunities to see everything in one trip. 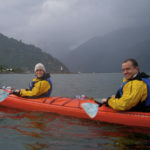 Most trips will take place largely in the Peruvian Southern Highlands which experiences great weather from April to October, and even between November and March you will see some rain but it generally goes as quick as it comes and the temperatures are similar to other times of year. Of course, it is always a good idea to check the Weather Network or other weekly forecast sites prior to your trip. 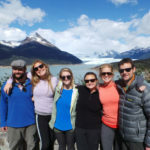 The Knowmad Team is extremely knowledgable and can help you plan an incredible vacation to help you make the most out of your time in Peru.